Looking for some good summer reading books for your kid? Epic has you covered. 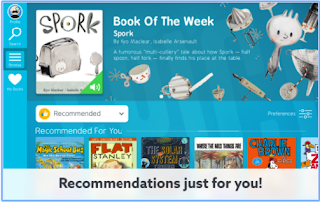 It provides a huge library featuring over 20.000 eBooks designed specifically for kids 12 and under. 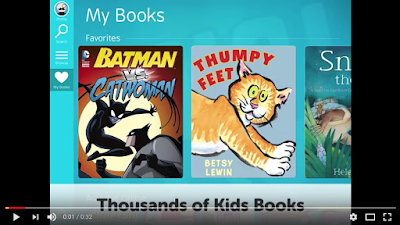 The library also includes audio books, comic books, graphic novels, educational videos, read-to-me, fiction and nonfiction books from leading publishers such as Scholastic, Macmillan, National Geography, and HarperCollins. Epic is free for elementary teachers and librarians in the US and Canada. Epic costs $4,99 per month and supports up to 4 individual child profiles per account, subscription can be cancelled at any time. Once children have their own accounts, Epic start sending them personalized recommendations based on their reading level and interests. It also offers a detailed reading log parents can use to check on the reading progress of their kids. Epic is available for the web, Android and iOS.